With an estimated 4.1 million Australians getting food poisoning each year, of which 32,000 are hospitalised and more than 80 die, safe food handling and storage is essential. 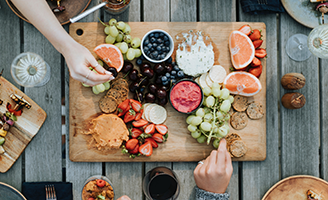 While holiday functions make this an enjoyable time of year, good times can turn sour if food is not handled correctly in the warm weather. The rate of illnesses such as gastroenteritis often increases over summer because warmer temperatures permit more rapid bacterial growth in foods if they are left out of the fridge. People can also reduce their chances of getting a food-borne illness by taking simple measures when preparing and storing food. Food poisoning symptoms can take days to develop. Anyone who thinks they may have become ill from eating contaminated food and needs to seek medical care should consult their doctor as soon as possible. Putting together a list of food eaten in the previous 48 hours is also recommended. stick to the ‘use by’ date and storage instructions on the packet, smell or taste are not reliable warning signs. Read our food safety myths.